RICOH IMAGING COMPANY, LTD. is pleased to announce the Version 1.1.0 update of the PENTAX Tethered Capture Plug-In for Adobe® Photoshop® Lightroom®. This plug-in is designed to enhance the tethered capture capabilities of PENTAX digital SLR cameras. In addition to some new features, the update will also allow the plug-in to accommodate the new PENTAX K-1 digital SLR camera (scheduled to be launched on April 28, 2016). Adobe® Photoshop® Lightroom® is the photo development, manipulation and organizational software favored by many professionals. Provided as a plug-in, the Tethered Capture function allows users to automatically transfer images from the camera to a computer via USB. Users can also open up a new image on a larger computer monitor, or even release the camera’s shutter from the computer. This update also provides a new feature, which writes image data to an SD memory card in the camera body, while also transferring the data to the computer. Since this updated version is compatible not only with the PENTAX 645Z but also the PENTAX K-1*, our newest camera, PENTAX K-1 users can take advantage of the versatile Tethered Capture function to further enhance the use of Adobe® Photoshop® Lightroom®. 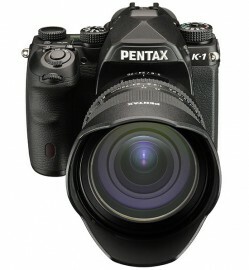 Also, by updating IMAGE Transmitter 2 — PENTAX optional software for remote camera control and image transfer using a computer — to the latest Version 2.2.0, the user can add the PENTAX K-1 to the list of compatible cameras. Please access the RICOH IMAGING official website for details. The camera’s firmware must be updated to the latest version. Note: Adobe® Photoshop® Lightroom® must be purchased separately in order to use the PENTAX Tethered Capture Plug-in for Adobe® Photoshop® Lightroom® (Simple Version) application. Note: .NET Framework 4.5 must be installed. This entry was posted in Pentax K-1, Software and tagged Adobe, tethering. Bookmark the permalink. Trackbacks are closed, but you can post a comment.